Nine Inch Nails was the first group to release open source music with their single, The Hand That Feeds. The term “open source” was coined 20 years ago this month by some software engineers who had the radical idea of allowing their code to be freely shared, copied and modified by anyone else. They realized they could make more money by giving away their product instead of selling it, and selling the support services instead. The open source model is a growing part of the arts, and nowhere more than in music. Recordings make so little money that creators now offer them for free and make their money from live shows instead. But true open source means releasing the code. 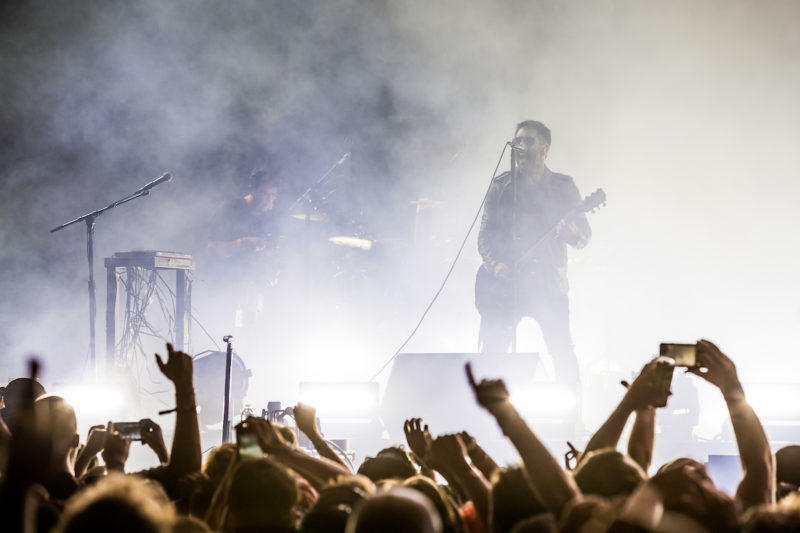 Trent Reznor’s industrial rock band Nine Inch Nails was the first with a collection of the raw tracks, or “stems,” for the single “The Hand That Feeds” in 2005. Anyone could download, copy and modify them into their own music and distribute the results. This is a way to acknowledge the new realities of file sharing and sampling culture: DJs were remixing songs anyway, why not embrace it and make it easier for them? Radiohead took it a step farther in 2007 with the release of In Rainbows, giving up on traditional marketplace economics and offering the album for whatever price the buyer wanted to pay. They also released the stems and even held a remix contest. I like how open source destroys the idea of a recording as a sacred, unchangeable object; it can now conceivably have the same effect as live music - impermanent, evolving, and belonging to the audience as much as the artist. This album is the first to make widespread use of samples; this one uses a recorded broadcast sermon. To celebrate its 25th anniversary, two songs were released in stem format under a creative commons license, meaning anyone could legally use them.